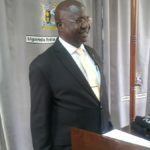 Just as the country tries to come to terms with the saga involving the Mukono – Kyetume – Katosi road, we are again being treated to another scam, the Kawempe – Kafu road, which the Auditor General John Muwanga says was shoddily done. Over the past few years the government has emphasized the issue of infrastructure development, injecting trillions of shillings in road construction. This money was channeled through the Uganda National Roads Authority, the organization that is now under scrutiny by way of a Commission of Inquiry. 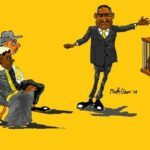 Indeed, there have been some disturbing monetary and procedural issues that have surfaced, enough to lend support to the earlier clean-up carried out by the new Executive Director Allen Kagina. In the Kawempe – Kafu saga, the construction cost Shs250 billion, only for the AG to unearth some anomalies almost ten years after the works began. Needless to mention therefore, most of the UNRA officials (former) who have appeared before the Commission have left a putrid trail, with obvious signs of mismanagement of road construction projects, abuse of office and corruption hanging in the room that houses the probe team; little wonder then that Justice Catherine Bamugemereire even ‘ditched’ her ‘judicial etiquette’ to lambast one witness who had called her ‘aunt’ during the proceedings. It is such irritable actions by Ugandan public sector workers that has almost brought our economy to its knees. And we don’t need to be reminded that the Ugandan economy is not doing so well partly because of infrastructural deficiencies including the bad road network that has made the transportation of goods nightmarish. Lastly, it is imperative to know that good roads help ease transport, which in turn reduces the cost of doing business, leading to the provision of reliable and affordable goods and services, which are some of the key ingredients of social transformation. So, those who take part in the shoddy road works deserve to be severely punished because they qualify for the title ‘economic saboteur’.